The road has been closed between Albion Road and Prince of Wales Drive. A number of Scarborough residents have raised concerns over cracks on Esplanade. North Yorkshire County Council have closed the road between Albion Road and Prince of Wales Drive for the past week. Residents are now becoming more concerned over the nature of the cracks as the road has been closed without any signs, posted along this stretch of road, indicating the duration of this closure. 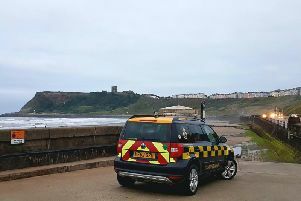 Area highways manager, Richard Marr, said: “After cracks formed in the road on Esplanade, Scarborough, where work to stabilise the Spa cliff is currently under way nearby, we took the precautionary step of closing it to traffic between Prince of Wales Terrace and Albion Road. "This is to allow further checks to be made, but pedestrian access to properties is not affected.